A lot of you are going to say, "Oh my yuck... hemp protein is disgusting." Hemp protein is not for everyone. If you are looking for a vegan source of protein, one that I really really love, but is sort of pricey, is the Boku Super Protein triple source. It's raw, love that!! So it has a blend of organic, sprouted, bio-fermented, whole grain brown rice protein (so it is easy to digest even though it's a grain), organic cranberry protein, and organic red dulse. It is sweetened with organic maple syrup, and organic vanilla, and has a group of enzympes in it as well. It's something that you may want to move into if you are not using an undenatured whey protein and are looking for a raw protein that isn't hemp, or just brown rice. Why would you use dulse? 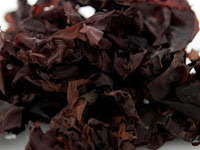 After nori, dulse is the highest in protein of the popular sea vegetables. 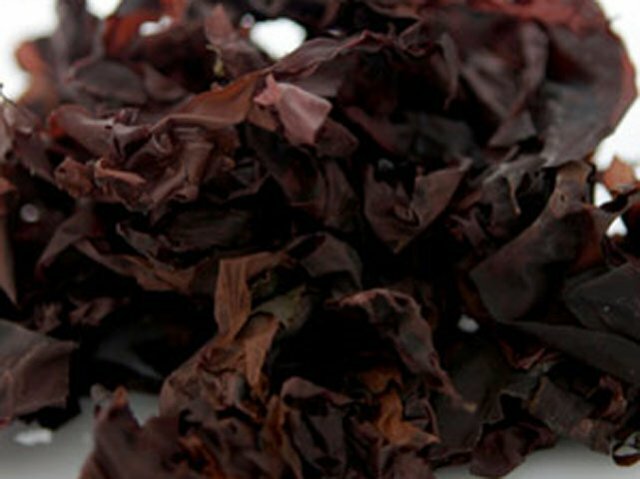 Red dulse is considered a superfood because of its high iodine and potassium content, plus a long list of micro-nutrients and phytochemicals. You'll probably start to see dulse over kelp in green superfood recipes because it' has a very neutral flavor. Dulse is a clinically recognized antioxidant and excellent plant protein source. Also I read that dulse may be best known for its high iodine content, which I didn't know. With it's natural source of iodine, it make it a must have for patients suffering from hypothyroid symptoms.